Improving early detection techniques is important for many types of cancer, but it is especially important for ovarian cancer, as it is likely the most effective way to achieve a cure.. In fact, the five-year survival rate for ovarian cancer is above 90% if found during the earliest stage. Unfortunately, only 15% of cases are diagnosed at this stage, making ovarian cancer a notorious “silent killer”. Throughout his entire career, Dr. Bast has been working to change that. Dr. Bast is best known for developing the OC125 (CA125) monoclonal antibody in 1981 that led to the production of the CA125 radioimmunoassay – the first useful biomarker for monitoring the course of patients with epithelial ovarian cancer. Since this discovery, Dr. Bast and his team have been evaluating ways CA125 can be used to screen for ovarian cancer. For example, results from a large clinical trial involving 200,000 women in the United Kingdom showed that Dr. Bast’s “two-step” approach for the early detection of ovarian cancer – using CA125 detection and sonography – effectively reduces fatalities by 20%. Dr. Bast is currently testing a panel of seven biomarkers (that include CA125 plus six auto–antibodies) to see if it is more sensitive than using the CA125 biomarker alone. This has the potential to produce an even more sensitive early detection screening tool. Dr. Bast’s laboratory is also developing a more sensitive imaging technology called a Superconducting Quantum Interfering Device (SQUID). This device aims to improve the sensitivity to detect tiny, early-stage tumors over existing techniques, such as CT scans, MRIs and PET-CTs. Moreover, Dr. Bast and his colleagues are working to identify the best combination of biomarkers that can be used together to produce the most sensitive, ovarian-cancer-identifying signal possible. Using more specific and sensitive biomarkers, in conjunction with the SQUID technology, could greatly increase early detection and diagnosis of ovarian tumors. Robert C. Bast, Jr., M.D., received his B.A. from Wesleyan University and his M.D. from Harvard Medical School. He completed a medical internship at the Johns Hopkins Hospital and then served as a research associate at the National Cancer Institute. After Dr. Bast completed a medical residency at the Peter Bent Brigham Hospital and a fellowship in Medical Oncology at the Dana-Farber Cancer Institute, he joined the faculty at Harvard and the Dana-Farber Cancer Institute. Dr. Bast joined the Duke University Medical Center in 1984 and, ten years later, Dr. Bast was recruited to head the Division of Medicine at the University of Texas MD Anderson Cancer Center. In 2000, Dr. Bast was appointed Vice President for Translational Research at MD Anderson Cancer Center and, in 2004, he became the Harry Carothers Wiess Distinguished University Professor for Cancer Research. In addition to his position as a Project Director at NFCR, Dr. Bast is a member and/or fellow at the American Association for the Advancement of Science, the American Association for Cancer Research, the Association of American Physicians, the American Association of Immunologists, the American Clinical and Climatological Association, the American College of Physicians, the American Federation for Clinical Research, the American Society for Microbiology, the American Society of Clinical Oncology, the American Society of Hematology, the Clinical Immunology Society, the International Gynecological Cancer Society, the International Society for Immunopharmacology, the Ovarian Cancer National Alliance, the Society for Biological Therapy, the T. J. Martell Foundation, the V Foundation, the Reticuloendothelial Society and the American Society for Clinical Investigation. 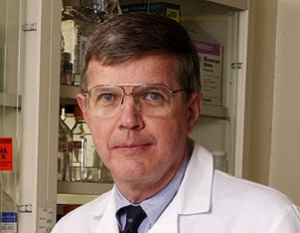 Throughout his career, Dr. Bast has received numerous honors and awards, including the 1971 Henry Asbury Christian Award from Harvard Medical School, the 1990 Robert C. Knapp Award, the 1994 Award for Scientific Excellence from the Mediterranean Society of Tumor Marker Oncology, the 1996 SmithKline Beecham Clinical Laboratories Award from the Clinical Ligand Assay Society,the 1998 Partners in Courage Award of Achievement from the American Cancer Society, the 2001 ISOBM-Abbott Award from the International Society for Oncodevelopmental Biology and Medicine, the2006 Award for Excellence in Gynecologic Oncology from the International Gynecologic Cancer Society, the 2007 Outstanding Leadership Award from the National Cancer Institute, the 2008 Rosalind Franklin Award for Excellence in Ovarian Cancer Research from the Ovarian Cancer National Alliance,the 2011 Hero Award from Cattlemen for Cancer Research,the 2011 Emil Frei, III Award for Excellence in Translational Research from MD Anderson Cancer Center, the 2013 Claudia Cohen Award from the Gynecological Cancer Foundation and the 2014 ShashikantLele Lecture award from Roswell Park Cancer Institute. He is also the recipient of various lectureships, including the 1987 Edward G. Waters Memorial Lecture, the 1991 D. Nelson Henderson Lecture at the University of Toronto, the 1991 John Ohtani Memorial Lecture at the University of Hawaii, the 1992 Stolte Memorial Lecture at the Free University of Amsterdam, the 1993 Master Lecturer at CA125 Ten Years Later, the 1993 Arnold O. Beckman Distinguished Lecture for the American Association for Clinical Chemistry, the 1996 Robert C. Knapp Lecture at Brigham and Women’s Hospital, the 1997 AlonDembo Memorial Keynote Lecture for the International Gynecologic Cancer Society, the 2000 George D. Wilbanks Lecture at the University of South Florida, the 2002 Lecture at the International Society for Oncodevelopmental Biology and Medicine, the 2002 Lecture at the Chao Family Comprehensive Cancer Center Symposium at the University of California, the 2006 Richard W. TeLinde Lecture at Johns Hopkins Medical Institutions and the 2008 American Cancer Society Lecture for the Society of Gynecologic Oncologists. Dr. Bast has published more than 500 articles and chapters, and has edited the textbook Cancer Medicine. Moreover, since 2003, he has been recognized by the Institute for Scientific Informal as one of the most frequently cited scientists in his field. Dr. Bast continues to care for patients with breast and ovarian cancers and has been listed in the Best Doctors of America since 1992 and in America’s Top Physicians since 2003. Your ticket for the: Robert C. Bast, Jr., M.D.